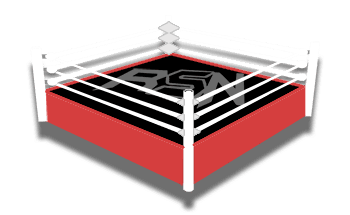 Welcome to Ringside News’ coverage of WWE Raw results for March 18, 2019. Tonight’s show will see Raw Women’s Champion, Ronda Rousey, defend her Championship against Dana Brooke. If you’ll remember, last week Dana interrupted Ronda Rousey and asked for a match. Instead, Rousey pounded her into the mat. Well, tonight Brooke gets her match, and Ronda has promised it will be “uncomfortable” to watch. Heel Ronda is legit. Also tonight, the WWE Universal Champion returns after another hiatus. Well, seeing as it’s only three weeks to WrestleMania, I guess it’s high time Lesnar comes to Raw and F5’s someone. And next time we see Brock will be the go-home show, in which he’ll do something similar. At this point the Lesnar shtick is just so tired and trite that it’s hard to imagine fans really caring. Just let Seth take the belt and we can all move on with our lives. And the final elements of tonight’s show worth mentioning are Kurt Angle announcing his WrestleMania opponent, and Seth Rollins facing Drew McIntyre, seeking retribution for his fallen brothers from last week. That’s the preview for tonight’s Raw. Remember to download the Ringside News app and follow us on Instagram to stay in the loop. And, as always, enjoy the show! Monday Night Raw opens with the WWE Universal Champion, The Beast Incarnate Brock Lesnar, making his way to the ring. Lesnar, flanked by Heyman, is in the ring in Chicago and receiving a fair amount of boos. Lesnar lifts his title high to silence them but they boo louder. Heyman introduces both of them, then moves on to talk about WrestleMania. Heyman says Seth Rollins is a master of weaving propaganda tales; like saying Lesnar has a stylistic problem facing guys of his size and pace. Heyman then calls Rollins a fool and asks the fans who the winner was in Brock’s matches with Daniel Bryan, AJ Styles, and Finn Balor. Heyman then talks about Drew McIntyre being a career killer. He says McIntyre is a machine and Rollins wants to fight the Scottish Psychopath a mere month from WrestleMania. Heyman asks what Rollins is thinking but then out comes Drew himself. McIntyre, on the ramp, says it is refreshing to finally get the respect he has earned. The fans boo and he tells them to shut their mouths and open their ears. He reminds us that last week he “brutalised” both Dean Ambrose and Roman Reigns last week. He says that Brock will need a new opponent for WrestleMania because Rollins won’t make it to the show after he’s through with him. Seth then comes running out and whacks McIntyre in the back with a chair. He floors him with a second shot, then referees come out to stop Seth. The fans chant “one more time”, so Seth hits McIntyre upwards of 20 times! Brock looks like he’s seen a ghost. Seth turns to Lesnar and runs into the ring but Lesnar slides out and leaves. Still to come tonight, Rollins Vs. McIntyre, Ronda Rousey Vs. Dana Brooke, and we’ll hear Batista’s side of the story. After the break, Finn Balor and a partner of his choosing will face Lio Rush and Bobby Lashley. We return with Finn Balor on the mic and he wishes us a happy belated St. Patrick’s Day. Before he can continue, Bobby Lashley and The Hype Man come out. Lashley and Strowman start the match and lock-up. Lashley shoves Braun backwards twice, but the third time Strowman shoves him to the corner. Lashley then runs for a shoulder tackle but Braun floors him and Bobby rolls outside. Back from the break to see Rush kick Balor, then make a tag to Lashley in. Lashley quickly stops Balor from making a tag and applies a chin lock. Balor fights up, but Lashley takes him down with a reverse STO for a near fall. Rush tags in and goes for a sunset flip, but Balor rolls through and dropkicks him. Lashley quickly tags in and punches Balor down. Lashley then manhandles him and takes him down with a chin lock. Balor fights up and tries for a tag, but Lashley stops it. Balor boots him back and tries for a tag, but Lashley slams him into his corner. Lashley charges, but Balor sidesteps him and sends him shoulder-first into the ring post. Rush tags in, jumps over Balor, is scared back by Strowman, and takes a falling elbow drop from Balor. Braun tags in, and he grabs Rush and throws him. Strowman then tosses Rush across the ring like a paper ball. He does it again and Rush gets serious air. Strowman clubs Rush in the chest and lifts him up, but Lashley comes from nowhere and spears the monster! Balor jumps Lashley and knocks him out of the ring. Rush then knocks Balor out of the ring. Rush quickly goes to the top rope and hits a frog splash onto Braun, but Strowman powerfully kicks out. Rush looks terrified as Strowman gets to his feet. Rush runs away, but he’s cornered by Balor. Balor catches Rush, but Lashley knocks him down. Strowman then shoulder blocks Lashley into the crowd. Strowman gets Rush in the ring and shoulder blocks him down. Strowman then hits Rush with a chokeslam. Lashley is at ringside, watching on, before he decides to walk off and leave Rush behind. Strowman then hits a running powerslam on Rush for the win. We see Ronda Rousey and her husband, Travis Browne, walking into the arena. They’re stopped by a referee and security, who say in addition to being fined for her actions last week, management has saw fit to hire extra security. Ronda blows them off and keeps walking. Alexa Bliss makes her entrance for A Moment of Bliss with Elias. We’re back live and Alexa Bliss talks briefly about WWE’s 1 billion social media followers. She says the hype for WrestleMania is real, then turns it over to Michael Cole to rundown the card – that must be weird for those in attendance because they can’t hear the commentators. Back with Alexa Bliss, she says she is the only person worthy of hosting a card like that. She says she’s a really good talk show host, that she has been inspiring people across the world. She then introduces her guest, Elias. Elias sits with Alexa and she tells him no to worry, because this is a safe place and he won’t be interrupted. Elias thanks her and then announces that he will be the headline musical act at WrestleMania. He then criticises New York and praises New York, earning the boos of the crowd. He says if anybody attempts to interrupt him at WrestleMania, and he means anyone, he will beat them down. No Way Jose’s conga line then comes out and interrupts, but Jose isn’t there. Instead, Otis Dozovich and Tucker Knight are leading the way. Alexa apologises to Elias, saying she did book the conga line but it was for the end of the show. Elias then gets in Otis’ face and says he needs to teach him the importance of timing. Just then one of the conga line smashes Elias from behind. It’s a guy in a Lucha mash, who turns out to be No Way Jose. Elias gets to his feet and Jose slides into the ring, fired-up. The two will have a match after the break. We return to see the match already underway, and Jose hits Elias with an airplane spin. Jose hits a rolling senton on Elias, then forces him to the corner. Elias reverses a whip to the opposite corner, but Jose slingshots over him and hits an arm drag. Elias gets up, but Jose hits another arm drag/neckbreaker and sets into an armbar. Elias eventually punches out of the armbar and takes Jose down. Jose fires back with a pair of clotheslines and a hip toss neckbreaker. Jose clotheslines him in the corner and goes to the top rope for a cross-body block, but Elias moves. Elias punches and kicks Jose before flooring him with a clothesline. Elias goes to the top rope, almost loses his balance, but then hits a flying elbow drop. Elias follows-up with Drift Away for the win. Still to come, Batista talks about his history with Triple H, a Raw Women’s Championship Match, and Seth Rollins Vs. Drew McIntyre. Up next however, Kurt Angle will announce his WrestleMania opponent.